Twenty-five years later and his career still hasn’t bounced back. THE SCENE: It’s 1979 and my mom is amped. We’ve just come home from the record store where we picked up Stevie Wonder’s first album in three years! Mom had practically worn the grooves off his last album, the double-length Songs in the Key of Life, and this one is a double record too! It’s gonna be great! Then Mom puts the needle on the first song. She planned to sing along with Stevie but she is freaking out over the numerous instrumentals (starting with the synthetically orchestral “Earth’s Creation”) and songs in foreign languages (Japanese in the kids-and-koto-led “Ai No, Sono”, and Bambara in the savannah rhythms of “Kesse Ye Lolo De Ye”). She wanted to get down with some high-energy funk but instead she’s hearing mid-tempo ballads (the gorgeous “Black Orchid”) and slow hymns (like the funereal organs of “Ecclesiastes”). Mom screws up her face at the record player as if it had defecated on the carpet. She furiously examines the record sleeve for some explanation of this madness, as if some random backup singer’s name would somehow justify this thing she had just purchased, at double record price no less. “It’s a soundtrack to a plant documentary”, she snarls, as if that clarifies everything. “Why? Why would he do this?” Meaning, why would he do this to us, all the Black people who have supported him throughout his entire career, why would he blindside us with an un-funky, un-political, un-lyrical and un-cheap score to an un-movie? The simple answer is, because the filmmakers asked him and he said “yes.” The real answer is devastatingly more complex. America grew up with Stevie Wonder. We listened to him sing his little heart out as a young boy on Motown. We watched him take control of his career and turn synthesizers into seductive funk instruments. We heard him mature into the one of the best living songwriters, somehow selling millions of records and having dozens of hit songs while maintaining complete respect from other artists, musicians and critics. But after a seventeen-year career of doing the same sort of music over and over, an original score offered him a chance to expand his talents into a completely new realm of composition. Based on the book by Peter Tompkins and Christopher Bird, the documentary The Secret Life of Plants posits the thought that plants can actually feel emotions and are more sentient than anyone had ever considered. At a time in history where no one thought that a blind Black man had any more to offer the world than basket-making, I see how Stevie might have jumped at this opportunity. Alas, the modes and tones that make up a great score are usually not the ones that make up a toe-tapping pop album. There are some classic Wonder moments on the album, namely the live band throwdown of “A Seed’s A Star” and the liquid vocoder disco of “Race Babbling”, but it’s mainly a collection of intriguing and expansive background music. Had it been promoted as the score it truly was, the stage would have been set for a proper audience response. But it was set up as the next release from the man whose last three albums won Album of the Year Grammys, back-to-back-to-back, and the world expected something…, well at least something with a lot more words in it. THE FALLOUT: Dead on arrival. The critical and commercial backlash was so intense I bet he wished he was deaf too. The up-with-romance single “Send One Your Love” was a minor hit but that was it. Even the film got caught in the horror, barely screening at all, ever. Motown begged him to record a back-to-basics album lickety-split and he returned the next year with the successful Hotter Than July. The reggae of “Master Blaster (Jammin’)” probably saved his career, and yet, it killed his artistry. From 1980 on, Stevie Wonder released far fewer albums and all but gave up taking musical chances. 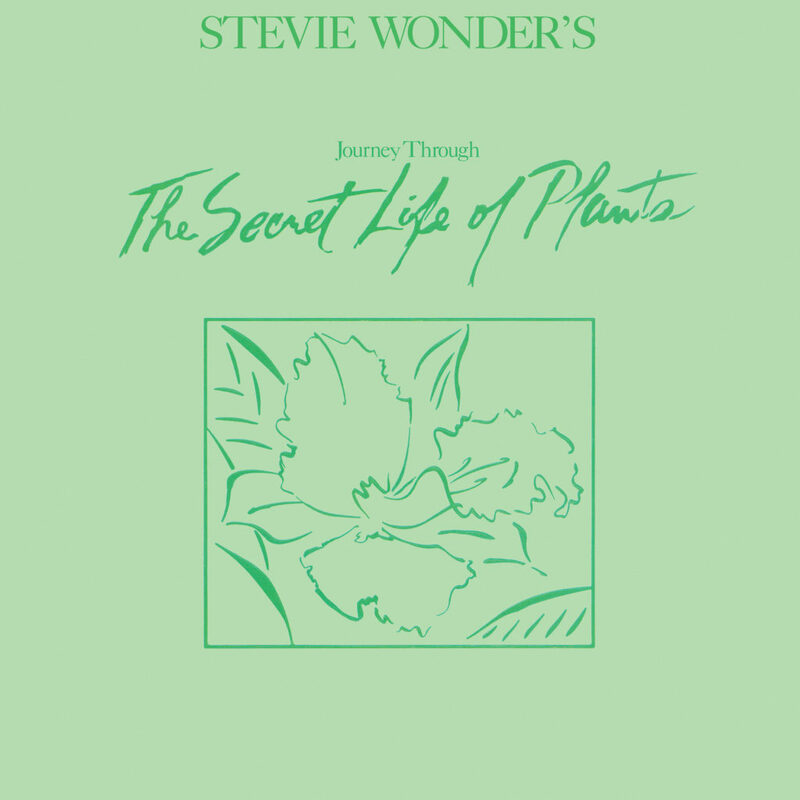 The last twenty-five years of Stevie Wonder has been an abrupt shift from new sounds and naked expressiveness into flabby, overwrought sugar treats, and it all ended with this album. Expensive and unique, progressive and forgotten, Journey Through The Secret Life of Plants deserves a rebirth. I mean really, it’s WAY better than In Square Circle, and some of you actually bought that one. Ah well. NEXT WEEK: Los Angeles has a Problem with Negroes.